1. Science is a body of knowledge that explains the ________________world. 2. Gathering information with the senses: ________________________. 3. A logical interpretation based on observations: ____________________________. 4. All claims in science should be supported by ____________________________. 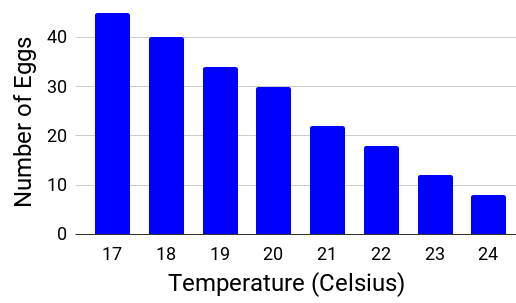 The graph shows the number of shrimp hatched at different temperatures. How would you summarize or caption this graph? In one sentence, connect the two variables.